ATOMS works with hundreds of leading independent day and boarding schools in 38 states across the country. Where Are Our Client Schools Located? ATOMS Placement Services was founded in 2012 in San Francisco, California, and has since become the fastest growing placement agency for independent schools in the United States. 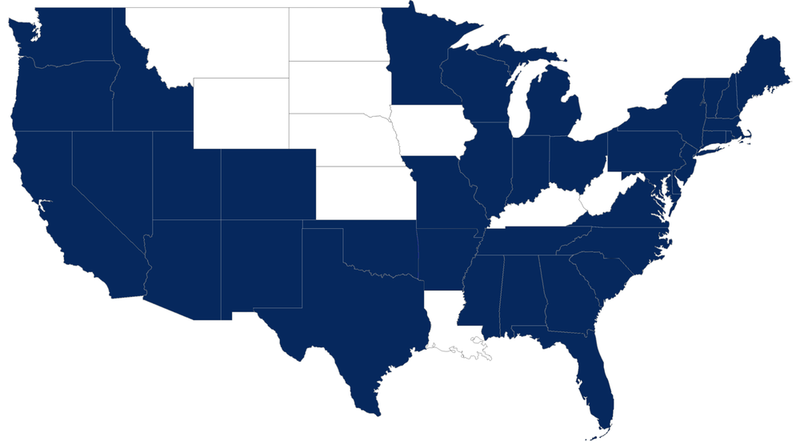 ATOMS works with hundreds of leading independent day and boarding schools in 38 states (see the blue colored states in the adjacent map), as well as countries in Europe and Asia. Here is a sample list of just some of the schools with which we work in the US and across the globe.